Regarding the issue that Japanese authorities recently recalled more than 18,000 bottles of Chin-su chili sauce imported from Vietnam for containing benzoic acid, Associate Professor Ph.D Tran Hong Con from the Faculty of Chemistry of the University of Science on April 7 said that benzoic acid is used to inhibit the growth of mold, yeast and some bacteria in food and is allowed to use in many countries worldwide. Currently, many countries still use benzoic acid as food preservative as they have not found any alternative. According to Associate Professor Ph.D Nguyen Duy Thinh from the Institute of Biotechnology and Food Technology of Hanoi University of Science and Technology, the Codex Alimentarius Commission allows to use benzoic acid to preserve food with maximum content of 0.1 percent. Although some countries, including Vietnam, authorize the use of benzoic acid in food, Japan does not. In Vietnam, the Ministry of Health permits a maximum content of 0.1 percent of benzoic acid in food. The dosage of benzoic acid that causes poisoning in human is 6 milligrams per kilogram body weight per day. 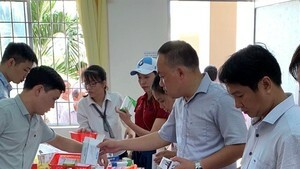 Mr. Nguyen Duy Thinh also said that many people merely pay attention to the content and concentration of this additive instead of the intake. For instance, benzoic acid in food is safe at the level of 0.1 percent; however, it is no longer safe if people eat too much benzoic acid, exceeding tolerable level. According to the Vietnam Food Administration under the Ministry of Health, there are 186 countries, including Vietnam, using additives and preservatives in food under the Codex standards. However, some developed countries, including Japan, the US and the EU, have their own assessments. Besides Codex regulations, when setting up standards, these countries assess the overall food consumption of their people. Earlier, on its website at www.city.osaka.lg.jp, authority of Osaka confirmed that Javis Co., Ltd based in Higashi-ku in Osaka and its representative director Yasuhiro Naka violated Japanese laws for importing goods containing banned substance. 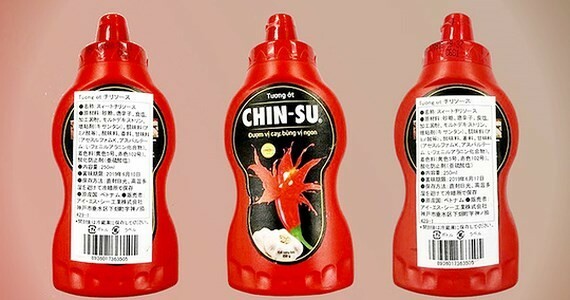 The website also stated that the product was Chin-su chili sauce made by Vietnamese producer Masan with expiry date of June 10 2019, June 17 2019 and July 6 2019. Chin-su chili sauce violated the food safety laws of Japan because benzoic acid is not allowed to use in chili sauce in Japan. Test results by the Japan Food Hygiene Association showed that benzoic acid content in Chin-su chili sauce bottles revoked in Japan was 0.41 grams per kilogram for bottles with expiry date of June 10 2019; 0.44 grams per kilogram for bottles with expiry date of June 17 2019; and 0.45 grams per kilogram for bottles with expiry date of July 6 2019. 757 boxes in total with 18,168 bottle of chili sauce have been sold from October to December 2018.